Legal Hispanic Schools Racist Hillary Supporters In EPIC Video! 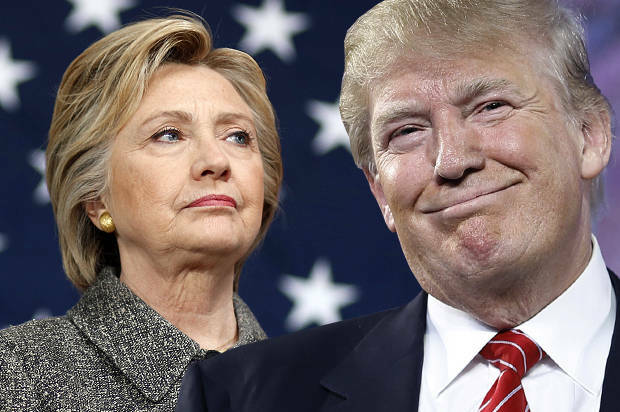 By all accounts, there are many, many, many Americans fed up with the government and politicians like Hillary Clinton and that is why they are flocking to Donald Trump. I have no idea at this point who is going to win. It is very confusing. The polls, which you can’t trust, all indicate Clinton will win by a massive margin. The huge crowds that show up for Trump, indicate that he has the people’s vote. The gentleman in this video immigrated here legally. He was an Obama supporter and has had enough of the Left. He’s all for Trump now and fully supports him. He is in West Palm Beach, Florida and he labels Hillary Clinton a stone cold racist, which of course, she is. The way the Hildabeast has classified, profiled, pandered to and treated Hispanics is just shameful. I may not support Trump, but I can certainly understand this guy’s sentiments here. 100% Fed Up attended the Trump rally in West Palm Beach, FL on October 13, 2016. Trump’s rally was the most diverse crowd of fed up Americans that we’ve ever seen supporting a Republican candidate. Trump’s message of jobs and prosperity for ALL Americans is resonating with everyone. Watch this legal immigrant who voted for Obama tell why he is supporting Trump, and how he has been treated by racist Hillary supporters who are guilty of “profiling” minority Americans. You can only disrespect Americans for so long before they have had enough. Anger, frustration and vengeance are driving this election. I think it will go down right to the wire. The election is full of hyperbole and it is getting harder and harder to hear the facts and discuss the issues. It has devolved into a mud slinging free-for-all. Yesterday, I heard that other than the debate, Hillary was done campaigning. Trump just quit the race and campaign in Virginia and he stopped new TV spots there as well. I have no idea what the strategy is on either side anymore. I guess we’ll see come election day. I can tell you this, that if Trump loses, the anger will boil over into the streets. Whichever way this goes, we are heading towards a major financial correction and we are already at war and don’t know it yet. The next four years will not be boring… anything but. If the nation survives, it will not be the same and neither will politics. Change has come to America and it is a fearsome thing to behold.